The chalet was compact and comfortable with an ideal outside space for outdoor eating and barbecues, with a little grass area for the children. It was convenient for Lille and Bruges, as well as Calais and Dunkirk. There were lots of little towns within a ten minute drive and lovely sandy beaches. Very helpful owners, they have carried us from station to accommodation and provided bed linen for those, who couldn't bring. A full equipped flat with kitchen (including free coffee and tea), barbecue facilities, and separate room for parents and children. Lock in a great price for Vakantiehuisje38 – rated 8 by recent guests! 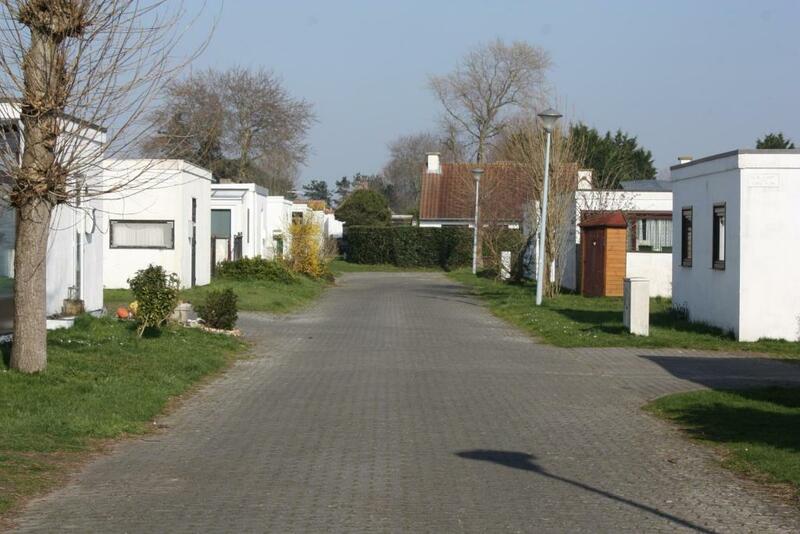 Located in Koksijde, Vakantiehuisje38 provides self-catering accommodations with a terrace and free WiFi. The property is 31 miles from Bruges. The chalet has 2 bedrooms, a fully equipped kitchen with a microwave, and 1 bathroom with a shower. A flat-screen TV with satellite channels is provided. The chalet has a grill. A playground is available for guests at Vakantiehuisje38 to use. Ostend is 16 miles from the accommodation, while Ieper is 23 miles from the property. The nearest airport is Ostend-Bruges Airport, 12 miles from the property. When would you like to stay at Vakantiehuisje38? House Rules Vakantiehuisje38 takes special requests – add in the next step! Children are allowed in the accommodations and are not charged up to 12 years of age. A maximum of 3 children can stay in existing bed options. Please note that bed linen and towels are not included. Guests should bring their own. Please note that guests are required to clean the accommodations before check-out. A damage deposit of EUR 100 is required. The host charges this 7 days before arrival. That's about 113.02USD. This will be collected by bank transfer. You should be reimbursed within 7 days of check-out. Your deposit will be refunded in full by bank transfer, subject to an inspection of the property. Leaving the key in the post box as nobody was in was a little worrying, but it was such a nice area and it all turned out fine. If you don't have a car, it's far from everything... the bus stops, the village centre (with shops and restaurants), and particularly the seashore. The flat had a bad smell of mildew due to a leak. You have to bring linen and towels, as there's none.